Q: How long does it take to complete the programs? The master’s in GIST and HSGI programs can each be completed in 20 months. The three graduate certificate programs can each be completed in eight months. Q: Are there any required live sessions? The majority of coursework across all programs can be completed asynchronously. However, both master’s degrees and the graduate certificate in GIST require the fieldwork component, in which students participate in a week-long excursion on Catalina Island to collect data and network with leading GIS experts. Students in the master’s programs will also need to schedule time for live sessions with their faculty advisors to receive guidance on their topics and discuss their goals. Additionally, faculty hold virtual office hours and depending upon the course and assignments, hold small group Google Hangouts, and other small group and/or individual virtual meetings. Q: Are there any specific software requirements? Most of the courses utilize ArcGIS pro for hands-on exercises. However, ArcGIS is provided online via the SSI Server, so you do not need to install it on your own computer. A computer with a fast Internet connection (DSL at a minimum). A functional webcam for use whenever a presentation or meeting is scheduled. SSI Server and Tech Support – If you are unable to connect to the server or experience technical issues, send an email using your USC account to SSI Tech Support at spatial_support@usc.edu, making sure to copy (cc) your instructor on the email. USC students will also have access to some other proprietary GIS and remote sensing software. Find out more on the Spatial Sciences Institute Website. Q: Can the programs be completed part-time? Yes, all of our graduate programs can be completed part time, taking one course per semester. However, students who choose to take two courses per semester may complete their program more quickly. At the accelerated pace, both master’s degrees can be completed within 20 months, while each graduate certificate program can be completed in as few as eight months. Q: Will graduates earn a full degree from USC or do online programs confer a different degree or certificate? Online students across all of USC’s undergraduate and graduate programs receive the same degrees as on-campus students. Our online GIS students are key members of the Trojan family, and they receive the academically rigorous education they expect from a top-tier university. We also welcome online students to visit the campus; if they choose to do so, they may receive a student ID card and gain access to all of the same on-campus amenities that all USC students can utilize. Q: Are instructors’ office hours conducted online? Faculty hold virtual office hours and, depending upon the course and assignments, hold small group Google hang-outs, BlueJeans sessions, and other small group and/or individual virtual meetings as needed. Q: What types of topics can I choose for my master’s thesis? We encourage our GIS students to choose research topics that they would enjoy exploring in depth. Master’s students will work closely with their thesis advisor to ensure that the topic is one that will yield quality results. However, the specific topic for the project is up to individual students. Previous thesis projects have covered the full range of topics that span the sciences, social sciences and humanities, and countless other industry and academic domains. Read more about the master’s thesis. Q: What is the purpose of the fieldwork week? You’ll conduct your own research project in self-identified groups, using the week to investigate your research question using GPS, GIS, and related technologies for spatial data collection, analysis, and presentation of your work. You’ll also get to know some of your classmates and faculty, and can visit the USC campus, including the Spatial Sciences Institute. Past students have considered their Catalina week to be the highlight of their GIST experience. Q: What is the typical schedule? 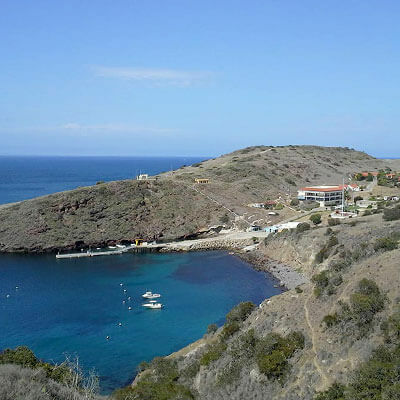 7:30 am sharp: Depart for USC Wrigley Marine Science Center on Catalina Island. Arrive approximately 9:00 am. Tour the facilities. Catalina Island Water Safety and housing orientation. Course overview. Walking tour of Two Harbors, a small town approximately 2 miles from WIES (by foot, van, or water taxi). 7 – 8 pm: Project expectations and constraints. Distribute laptops and GPS units and chat about other technologies that are available for use (GPS community base station, unmanned autonomous systems, and various kinds of sensors). 9 am – noon: GPS/GIS Workshop. 1 – 3 pm: GPS/GIS Guided Field Training. 7 – 8 pm: Roundtable discussion of results, formation of groups, and initial brainstorming and discussion of project ideas. Work in groups to prepare your project proposal. 1 – 3 pm: Proposal presentations. 3:30 – 5:30: Optional field trip to Little Harbor, or begin data collection. 7 – 9 pm: Thesis Night. Faculty discusses thesis requirements and expectations for completing the MS GIST. Continue with data acquisition and analysis. Continue with data acquisition and analysis. Roundtable discussion of results. Optional field trip to Two Harbors Bar. Discuss final presentation and poster. Continue data acquisition and analysis. Complete data acquisition and continue with data analysis and visualization. Group work to design and prepare final posters. Continue with data acquisition, analysis, visualization, etc. Continue work on posters and develop final presentations. Optional time to finish posters and presentations. 8:30 am: Pack up. 9 – 11 am: Final group presentations. 12:00 – 12:30 pm: Lunch. 1:30 pm: Depart to SCMI on mainland. Optional tour of USC and SSI and visit to USC Bookstore. 5 pm: Optional dinner with other GIST faculty on campus. Q: How do we get to and from Catalina Island? We travel on the Miss Christy, a 45-foot boat owned by USC and operated by WIES, dedicated for USC travel. We depart on Monday mornings at 7:30 a.m. from the USC Southern California Marine Institute (SCMI), located at 820 South Seaside Avenue, Terminal Island, CA 90731, to WMSC on Catalina Island. On Sundays, we leave to return to SCMI on the mainland by 3:00 p.m. The journey takes approximately 90 to 120 minutes depending on sea conditions. Closed-toed shoes are mandatory for the boat ride! Your professor will give you more detailed directions and parking information. Q: What are the accommodations like? We stay in dormitory-style rooms and/or furnished apartments. Typically, two students are assigned to share a room which is equipped with twin beds, desks, bookshelves, dressers, large closets, a small refrigerator, and a full set of linens. There is no daily housekeeping service. There is limited availability for single rooms, at an additional fee. All meals are included and are served in the cafeteria. We have three set meal times: breakfast (7:30 – 8:00 am); lunch (noon – 12:30 pm); and dinner (6:00 – 6:30 pm). We eat with other researchers, staff, and guests working at and visiting WIES. The full-time kitchen staff can accommodate special dietary needs requested in advance. Two Harbors has a general store and restaurant. Q: How much “down time” is there? Most of the week’s schedule is a function of group work in the field and each group’s work on their project. Each group organizes itself with faculty direction and “down time” is largely dependent on group dynamics. Groups are encouraged to complete their projects during the work sessions during the day as much as possible, so they could work on other class assignments, check in with their offices, and relax in the evenings. Many past groups have done this successfully, while some groups opt to continue to work together into the evenings. Q: Is there cell phone and Internet access? Yes, the USC wireless access is reliably strong and available throughout the USC Wrigley Institute for Environmental Studies campus. Q: Can spouses or guests come along? Spouses and significant others are not allowed to stay or visit during this field trip as you will be residing in the dormitories and spending most of your time working on assigned tasks during the week. However, in the past, some students have joined friends and/or family members after the class is over in Avalon (on the other side of Catalina Island) where there are hotels, attractions, and fun activities for a vacation. Q: What are the additional expenses? In addition to your travel expenses and regular tuition costs, a room and board fee will be charged to your USC fee bill. You will not need to pay this fee prior to going on the field trip, but it must be paid in full prior to registering for courses the following semester. Q: What about travel to and from Los Angeles? While some students live in the greater Los Angeles area and will be able to drive to the SCMI the morning the boat departs for Catalina Island, other students will need to arrive in the Los Angeles area at least one night before the field trip begins. In addition to using Los Angeles International Airport (LAX) for your travel plans, you may want to look into flights in and out of Long Beach Airport (LGB) and John Wayne Airport (SNA). Both LGB and SNA are relatively close to the SCMI and not nearly as busy as LAX. Q: What about Long Beach area accommodations? Students arriving in the Los Angeles area in advance of our departure to Catalina Island on Monday morning may consider staying at one of the hotels in San Pedro and Long Beach close by our departure point at SCMI. While USC does not promote any specific hotel or lodging arrangement, many students from previous sections have stayed at various hotels in San Pedro. If you plan on spending a night at a hotel prior to the field trip to Catalina, you may want to initiate or join a thread on Blackboard to coordinate with any classmates that may want to share a room and/or cab to SCMI. The Spatial Sciences Institute will provide each student team with one or more GPS units and laptops for data collection and analysis for the entire week. Additionally, you will have reliable access to USC wireless Internet there. You may want to bring your own laptop, tablet, smart phone, and camera as well as any other personal equipment you think might be appropriate to supplement the resources that will be provided to you during the field trip. Q: What is the USC Wrigley Institute for Environmental Studies? The Wrigley Marine Science Center of the USC Wrigley Institute for Environmental Studies is a 0.5-acre research and educational campus where scientists from around the world join USC faculty and staff to investigate biological adaptations to climate change, study interactions among humans and natural systems, and connect science to environmental policy. Q: Will I be able to visit USC? Upon returning to the Southern California Marine Institute from Catalina, we offer a visit to the USC main campus, with a visit to the USC Bookstore, a tour of the Spatial Sciences Institute, and drinks and appetizers with faculty, schedules permitting. The USC campus is located near downtown Los Angeles, approximately 20 miles north of SCMI. Generally, we have enough cars to carpool from SCMI to the campus. Fill out the information below to learn more about the University of Southern California’s online GIS Graduate Programs and download a free brochure. If you have any additional questions, please call 877-650-9054 to speak to an enrollment advisor. The University of Southern California respects your right to privacy. By submitting this form, you consent to receive emails and calls from a representative of the University of Southern California, which may include the use of automated technology. Consent is needed to contact you, but is not a requirement to register or enroll.